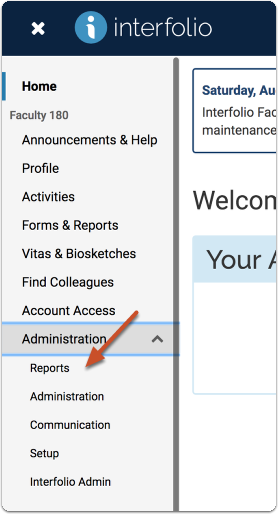 The evaluations reports allows administrators with proper permissions to easily view and navigate reports in their units. 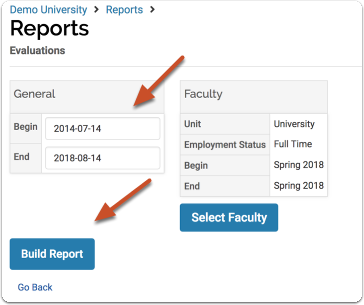 After running a report an administrator can drill down in two different methods, either Evaluation Titles, or Faculty Being Evaluated. Process Title is the name of the Evaluation process. 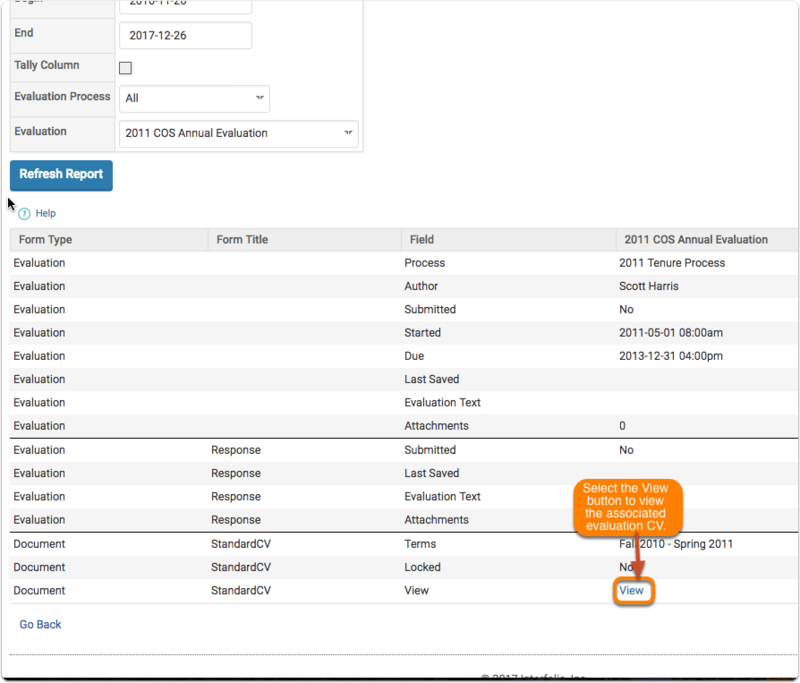 Evaluation Titles are the number of times an evaluation was used. 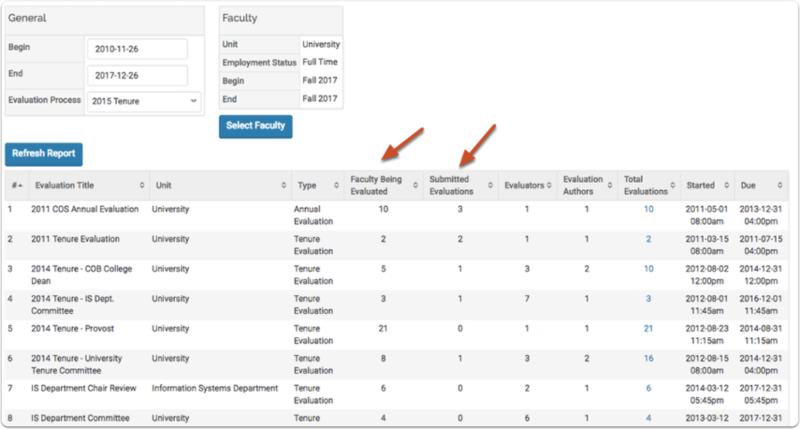 Faculty Being Evaluated is the number of faculty that were evaluated. 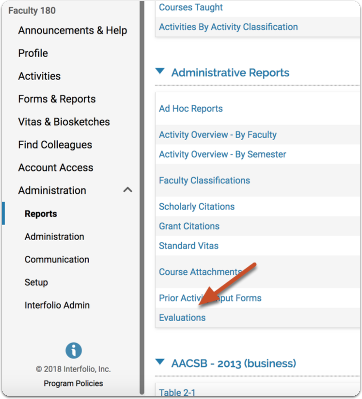 Evaluation titles and faculty being evaluated are available to help navigate to the relevant evaluations, selecting a value there will drill down into the column. 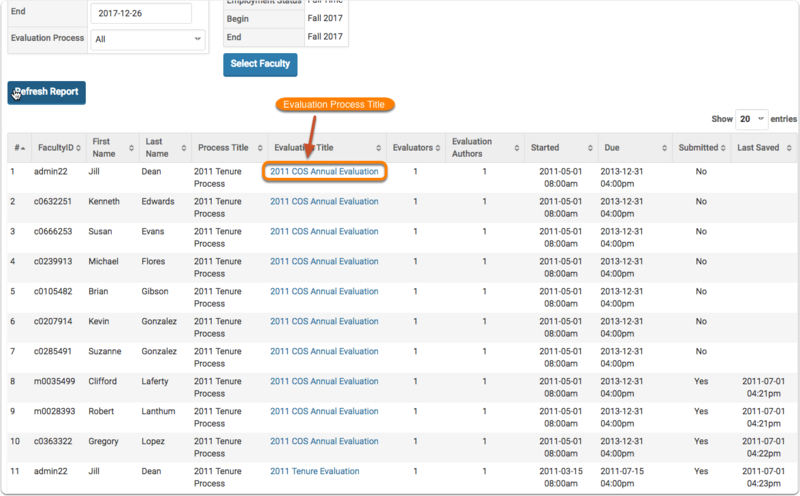 Select one of the numbers in the Evaluation Titles Column. Associated faculty members are displayed in the top row. 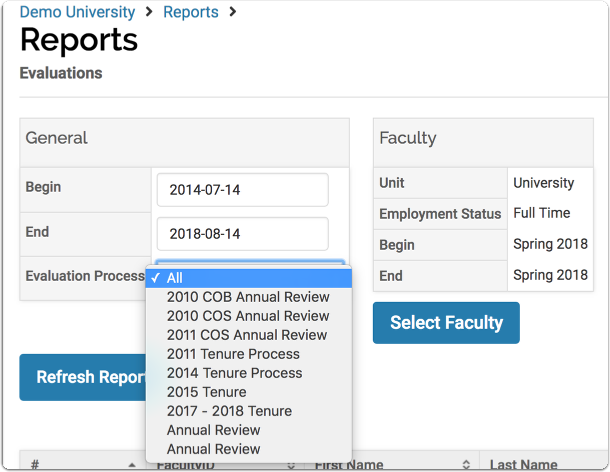 Change the evaluation by selecting from the dropdown "
Select one of the numbers in the faculty being evaluated column. 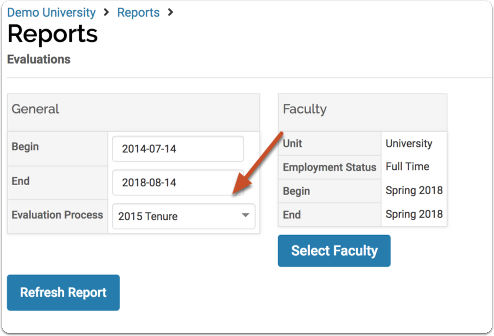 Select an evaluation title associated with a the faculty member. Their information is displayed on the left. 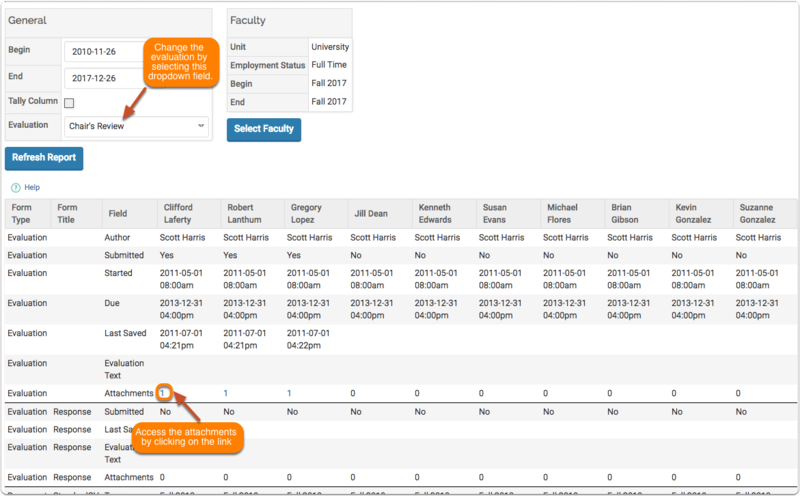 Faculty responses are condensed into a form for easy viewing by an administrator. 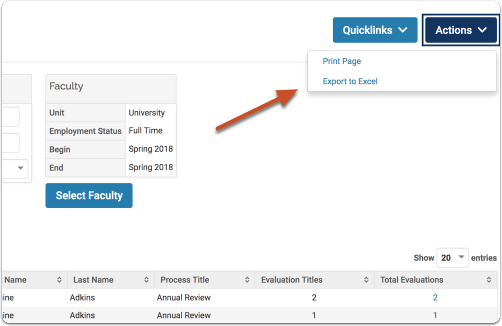 Select the number for "Totals" in the Evaluation Titles Column.